Nickelodeon Turntable from Jimmy Johansson on Vimeo. Nickelodeon Magnifying glass from Jimmy Johansson on Vimeo. 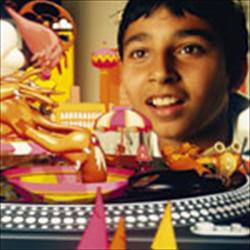 Nickelodeon Bubbleplanet from Jimmy Johansson on Vimeo. Nickelodeon Tracks from Jimmy Johansson on Vimeo. Nickelodeon UK is being handed a new on-air look that will then be rolled out to the company's other international channels. 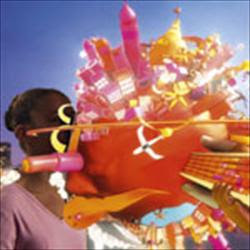 The rebrand was devised by Peter Drake, vice-president of Nickelodeon UK, and creative and art director Akin Akinsiku. It was an 18-month project and blends live action with 3D animation to unify reality and fantasy. Drake told Broadcast that the concept behind the channel's new look was "to make connections with real-world situations but then to transfer them into the world of a child's imagination". There will also be only one version of the channel's signature 'splat' logo: at present there are several. The new logo will roll out online as well as on screen. All the 3D work was created and produced at Mainframe by a team led by Adam Jenns. The sound design was done by Ian Chatham at Blue Post Production and the music created by Blasé Music. The redesign, which was produced in the UK, will air here on 7 March before it is rolled out internationally. The channel was last rebranded three years ago. There are no plans as yet to rebrand the channel's sister station Nick Jr.
Nickelodeon UK kicks off its spring season with The Elephant Princess on 20 February. The 13 x 30-minute Shiff Productions series is about an ordinary teenage girl who discovers that she has magical powers and is the heir to the throne of the enchanted kingdom of Manjipoor.